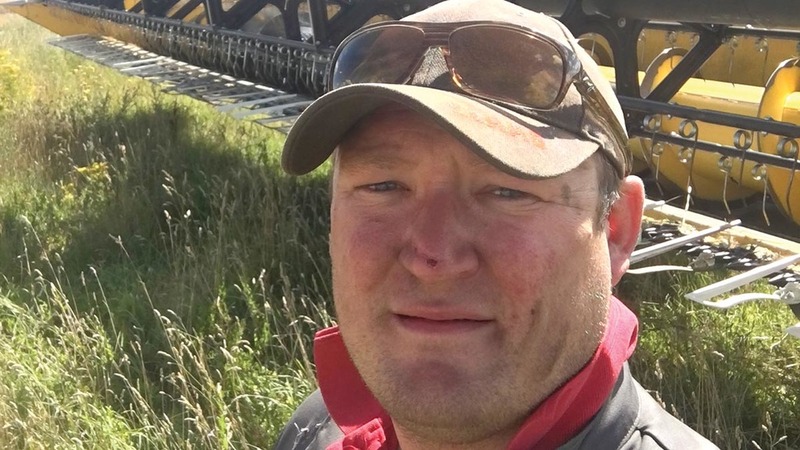 Will Wombwell, South Cambridgeshire, talks black-grass, early harvest and an unwanted visitor in the form of rural crime. Will Wombwell, 29, farms with his brother James in partnership with their father Peter. He is a fifth generation arable farmer, but keeps stock on-farm through winter. Harvest: Harvest has arrived early this year here in South Cambridgeshire. The combine rolled into the first field of Tower winter barley on July 5. Yield was down on last year with crop average yielding 7.4 tonnes/hectare (3t/acre). We were not really surprised following the dry winter and incredibly hot June. Up to the time of writing, we have had a fairly good run with the combine, suffering only a couple of minor rain delays, we have cut all of the OSR – the less said about that the better – and all winter barley and winter oats, a total of about 320ha (791 acres). Combining the home farm’s winter barley, I was extremely pleased to see stubble turnips growing well. We broadcast stubble turnips into about 90ha (222 acres) of standing crops pre-harvest. We use these to fatten store lambs through winter before we drill a spring crop. Black-grass: We have found contract grazing store lambs to be a fantastic way of not only earning extra income and keeping idle hands busy through winter, but they are also an extremely effective black-grassland. I hate admitting we have bad black-grassland, but we do. We have seen a huge reduction of black-grass in the following year’s crop, be it sugar beet, spring barley or peas. Combining turnips and sheep grazing with growing two or even three spring barley crops on the worst land is really cleaning up the heavier parts of the farms. While looking forward to getting into the wheat harvest, it comes with a down side; we grow a large amount of seed wheat for RAGT. This means hot dusty hours of blowing down and hoovering out the combine, certainly the unglamorous side to combine driving, but absolutely essential. The OSR for harvest 2018 has started going in the ground. We have been using a Sumo DTS drill for this and other crops for a few years now and find it an incredibly cost-effective and solid way to establish ours and our neighbours’ OSR. Rural crime: Now we are clearing fields of crops, we are once again having trouble from unwanted visitors, as illegal hare coursing is a major problem in our area. Large fields, rolling hills and great transport links make it wondering to farm, but far too tempting for these horrible, violent people to run their dogs. Quite what make these people feel they have the right to drive across people’s farmland, ram gates and fences and kill the wildlife that I as a farmer am proud to have and help on-farm, is beyond me. More needs to be done to stop these law-breaking thugs who are turning increasingly violent and threatening towards farmers.